Josh Adam Meyers is a comedian, host, writer, performer and musician from Baltimore, MD. 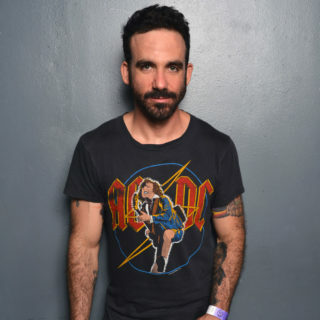 He is the creator and host of The Goddamn Comedy Jam, a live comedy and music show that continues to be one of the most popular live shows in Los Angeles at its base: The Roxy. This show inspired a TV version that ran for a season and a special on Comedy Central. The show’s live festival appearances have played to up to 15,000 people. Josh can also be seen voicing ‘DJ’ Howlin Hank’ on Bill Burr’s Netflix show ‘F is for Family’. Josh tours festivals and clubs around the country as a standup, and has appeared at JFL Montreal, Moontower, Bonnaroo, New York Comedy Festival, Blue Whale, Outsidelands, Bridgetown, Life is Beautiful and Clusterfest amongst others.